If you suffer from allergies, you might come to despise the changing of the seasons and the pollen floating through the air. Even if you shut yourself inside for days on end, there are still several allergens in your home that can irritate your respiratory system and skin. Consider buying a humidifier rather than popping allergy pills and emptying tissue boxes an hour at a time. Simply put, humidity is the measure of water vapor that’s in the air at any given time. Not only does the humidity level play a big part in how allergies are treated, it also plays a big part in how allergies are developed. Besides helping with your allergies, well-balanced humidity levels can also keep down the amount of dust mites in the air. Whenever dust mites create waste, the enzymes that are produced can be carried along on air currents and cause your allergies to flare up. There are many ways to “mite-proof” your home, but it all starts by lowering the humidity levels to create an unfavorable environment for them. The reason that dry air is so bad for your allergies is that it irritates your nasal passages and can potentially lead to a sinus infection. Dry air can also cause your body to produce more mucus than necessary, which can be especially dangerous if you have asthma in addition to allergies. Even if you don’t suffer from allergies, being exposed to dry air can dry out your skin and irritate eczema. Before you start shopping for humidifiers, keep in mind that it’s essential that you have a balanced level of humidity in your home since too much humidity can be just as bad as too little. By having a well-balanced level of humidity in the air, you can keep your nasal passages clear of mucus. Having clear nasal passages means that your body has an easier time purging any allergens you are exposed to on a day-to-day basis. Humidifiers have also proven quite useful with those who suffer from sinusitis. Dry air irritants won’t be as potent with the added moisture in the air. The cold and flu season is also a good time to have a humidifier in your home, and that’s especially true if you have young children and are hesitant about giving them over-the-counter cold and cough medicine. 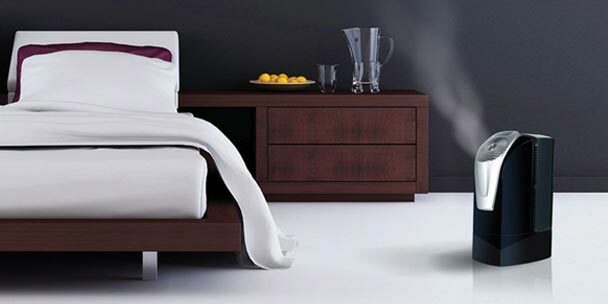 With a humidifier running you can relieve yourself of the frustration of having a runny nose, sore throat, and coughing. Skip the scratchy nasal passages and throat this winter season by setting up a humidifier in your home. Now that you understand how a humidifier can help you and your allergies, it’s time you learn more about the different types of humidifiers. 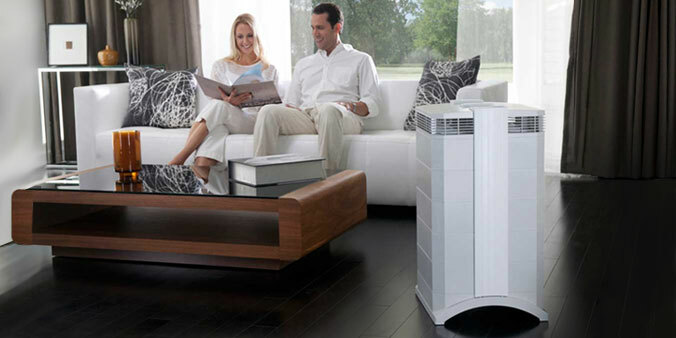 The most widely found type of humidifier is the evaporative humidifier, also known as the cool mist humidifier. The device uses a filter, wick, and reservoir to get rid of any moisture in the air that’s at room temperature. If you like, you can get an evaporative humidifier that can be programmed or one that includes a built-in hygrometer so that the humidity level in your home is always absolutely perfect. 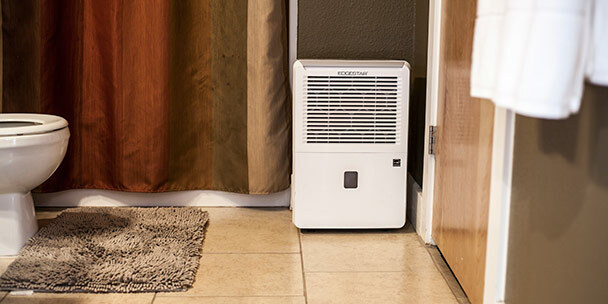 One word of caution with this specific type of humidifier is that you want to make sure you regularly change the filter, otherwise you might find yourself with a mold problem, which only becomes fuel for the allergy fire. Ultrasonic humidifiers create moisture through ultrasonic vibration. Steam producing/vaporizer humidifiers utilize electricity in order to create cooled steam. 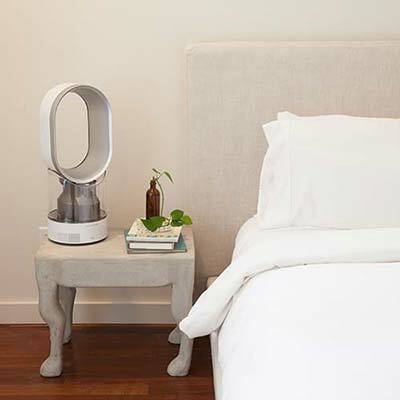 Impeller humidifiers use a spinning disc to create cool mist. Central humidifiers are built directly into your home’s A/C and heating unit and makes sure the humidity levels throughout your home are properly balanced. 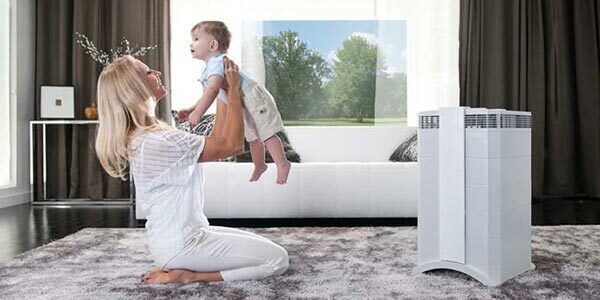 Even though there is no filter to worry about with impeller and ultrasonic humidifiers, they have been known to produce small minerals that can coat nearby furniture pieces, which won’t be doing your allergies any favors. While steam producing vaporizers get the job done, they can cause a spike in your monthly energy bills. Humidifiers aren’t something that you can just use and forget about, at least not if you want them to operate efficiently and get as many years of use out of them as possible. 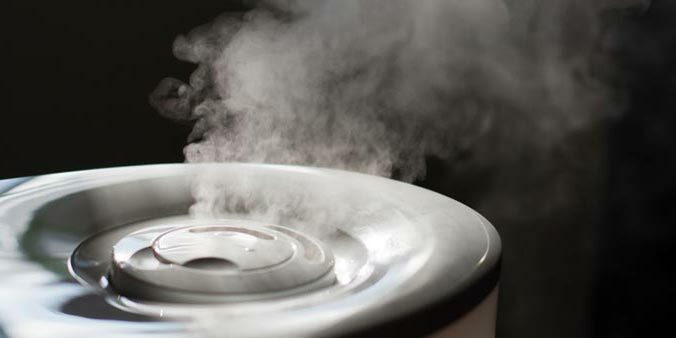 Make sure that you keep your humidifier clean so that it remains free of bacteria. It’s also best that you keep vaporizer humidifiers out of the reach of children since the hot steam may cause burns. Even if your humidifier has a hygrometer, it’s best that you still keep an eye on them to see that the moisture level in your home is always between 30 percent and 50 percent. Any water that you use in your humidifier should be as clean as possible. If the water has been sitting in the reservoir of the humidifier for a while, it can start to grow fungi and bacteria. The next time you turn your humidifier on, all of those allergens will be pumped into the air and into your lungs if you breathe it in. It’s best that you change the water in your humidifier every day and completely empty the reservoir before you fill it up again. Before you put your humidifier away in storage, you’ll first want to completely drain it and clean it. It’s also recommended that you throw away all filters, cassettes, and cartridges. You’ll want to clean it again once you take it out of storage to get rid of any dust, bacteria, and fungi that might have gotten onto it. If you suffer from allergies, or if you just want to improve your indoor quality of air, consider purchasing a high-quality humidifier for your home. Experience what life is like without suffering from irritated nasal passages, a dry throat, and dry skin. I only suffer from allergies in the winter, once the heater has been turned on for the first time in , at least eight months. We live in California, and have very bad dry wind’s. … and , fire’s. …. I can barely open my eyes in the morning, it’s that bad. ( & I don’t wear makeup ) so , that’s not the problem. ??? ?